Challenging the boundaries between art and furniture. Babled is a unique collaboration between the French designer Emmanuel Babled and Offecct. The iconic swivel/easy chair that was first made as a work of art has now evolved into furniture in Offecct Lab. World premiere at Salone del Mobile Milano 2018! 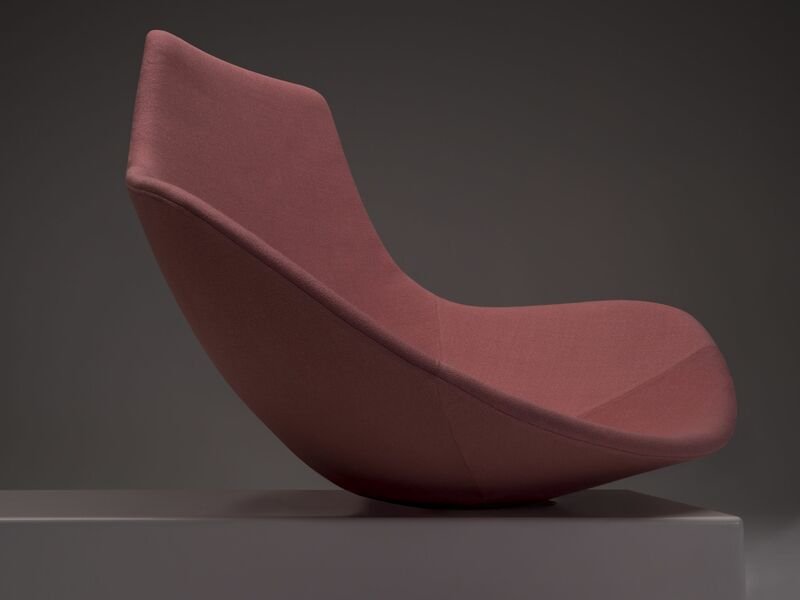 Emmanuel Babled’s voluminous and sculptural swivel/easy chair Babled was originally created as a piece of art in marble. 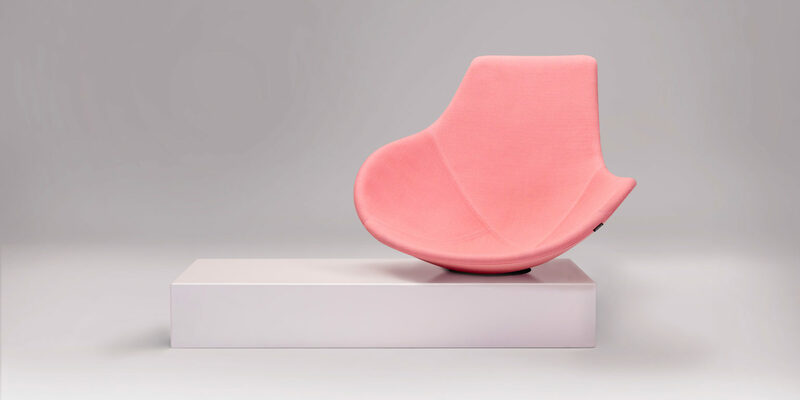 Offecct’s Design Manager Anders Englund saw the object in Milan last year and wanted to investigate what would happen if it were transformed into dressed furniture. Read more about Babled limited edition, Den chair. “Our design is exploratory, creative and playful. The way we work has many similarities to the artistic process, so it’s natural for us to bring art and furniture together and at the same time challenge the boundaries between the two,” says Emmanuel Babled. A dynamic forum for experiments. The collaboration between Emmanuel Babled and Offecct has taken place in Offecct Lab, a dynamic forum where Offecct invites different partners to experiment and test new solutions, materials and ideas. Emmanuel Babled was inspired to create Babled when he saw a big butterfly with its wings open. The organic shape makes the easy chair look like different furniture from different angles, both heavy and light in expression standing on a distinct foundation. 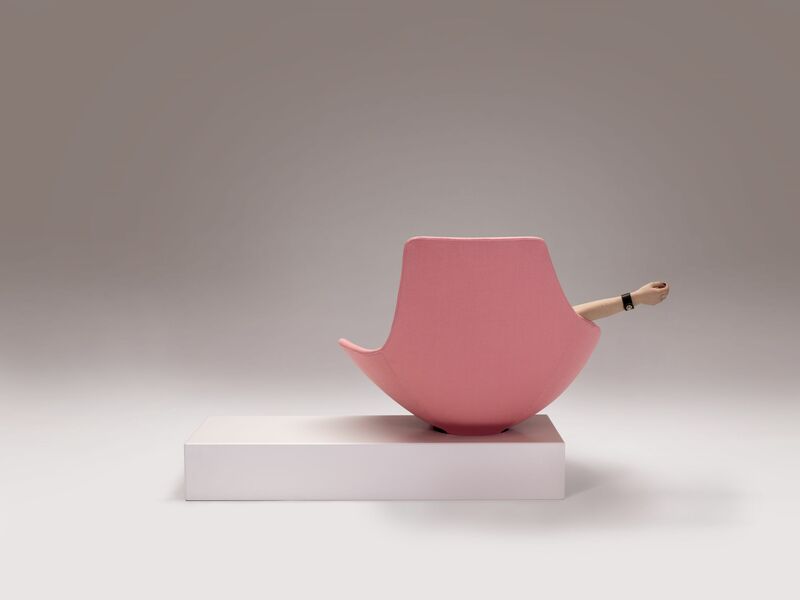 “When I started designing it, I also thought of famous Scandinavian furniture from the 1960s shaped like big shells and with rounded and soft shapes. The mission was to make the chair feel welcoming and to inspire people to let their bodies sit or lie in relaxed, comfortable positions,” says Emmanuel Babled. Read more about Emmanuel Babled. Experience Babled easy chair by Emmanuel Babled at Salone Del Mobile 2018, Offecct Pavilion 20, stand E19-F18.